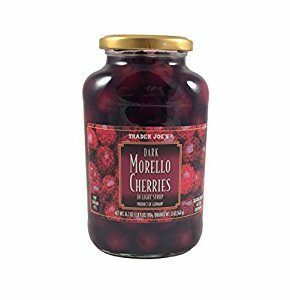 This recipe spotlights delicious Morello sour cherries that are packed with nutrition. Beta carotene, linked with cancer prevention particularly lung cancer and reduction in the risk of heart disease. Beta carotene is converted by the body into vitamin A, a vitamin that prevents night blindness, needed for growth and cell development, maintains healthy skin, hair, and nails as well as gums, glands, bones, and teeth. May prevent lung cancer. Pectin, a soluble fiber makes you feel full which may lessen appetite. Also, it lowers LDL cholesterol which helps reduce the risk of heart disease, regulates blood sugar which may reduce the onset risk or symptoms of metabolic syndrome and diabetes, and may cut the risk of colorectal cancer. Quercetin, a flavonoid and antioxidant that may help avoid heart disease, lessen risk of cancer and coronary artery disease. Potassium, which gives a helpful effect in lowering blood pressure. Also helps maintain fluid balance, and helps proper metabolism. Vitamin C, vitamin that fortifies blood vessel walls, encourages wound curing, promotes iron absorption, helps avoid atherosclerosis, defends against cell damage by free radicals, may diminish risk of certain cancers, heart attacks, strokes, and other diseases. The anthocyanidins found in the cherries have anti-inflammatory properties. Ceylon Cinnamon is also featured in this recipe. I recommend eating a half to one teaspoon a day of the true cinnamon, Ceylon cinnamon, since it so health promoting. It is anti-inflammatory, antimicrobial, antioxidant, antitumor, is cardiovascular-friendly, cholesterol-lowering, and has blood sugar regulating effects. There are two main types of cinnamon: Ceylon cinnamon (also known as “true” cinnamon) and cassia cinnamon. If cinnamon isn’t labeled “Ceylon” you’re most likely eating a cheaper, less liver-safe cinnamon variety called cassia. It can be hard to find so I buy this one from Amazon. WARNING to those who are taking blood thinners. Cassia cinnamon contains high levels (0.45%) of natural chemicals called coumarin. When taking anti-coagulants, its important to avoid any products with coumarin. This interacts with blood thinners – especially warfarin (Coumadin) and increases the risk of bleeding. Prepare oatmeal as per package instructions. I like to do mine in a large glass microwave-safe bowl in the microwave. I use a too-large because cooking oats in the microwave in a too-small bowl can create the dreaded “volcano effect”. 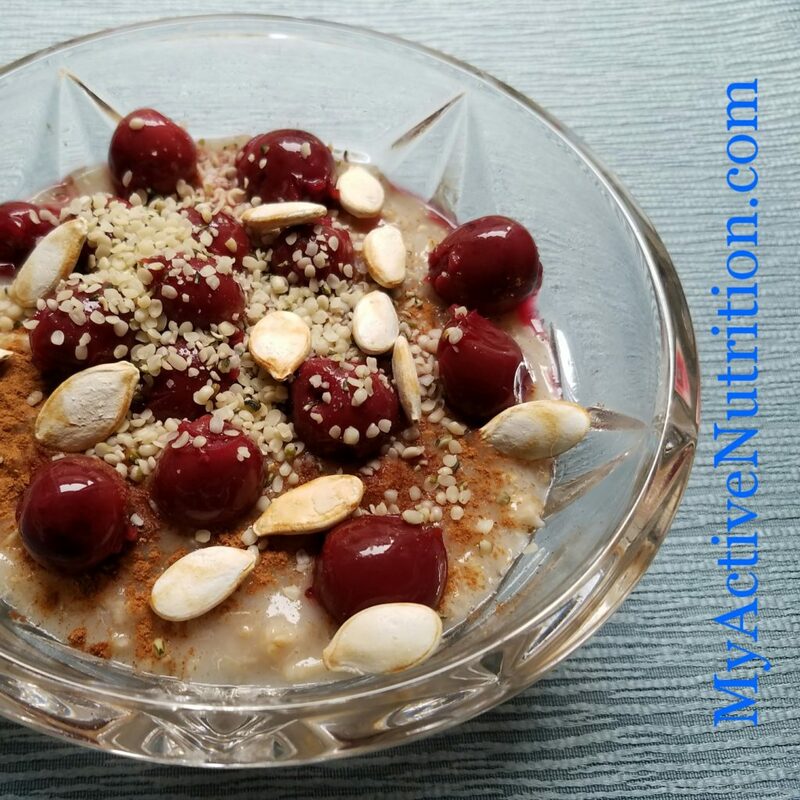 Top with cinnamon, brown sugar, hemp seeds, pumpkin seeds and cherries and enjoy! Is Raw Sugar Healthier than White Table Sugar? 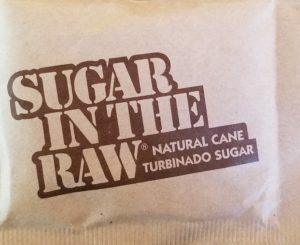 Sugar in the Raw: The brown packets, the golden crystals and the name “raw” give the impression that this Turbinado sugar is somehow healthier than white granulated sugar. Do not let the name or packaging deceive you… this is just sugar. Raw turbinado and white table sugar are calorically identical and are the same chemical composition. Both are 99% sucrose. 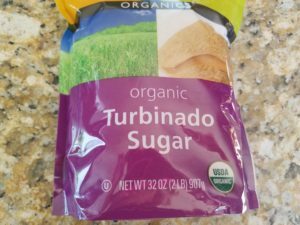 And even though Turbinado sugar does contain a bit of molasses that provides iron, potassium and calcium, it contains them in tiny amounts, not enough to offer a health advantage over white sugar. In fact, you’d need to eat 8 ½ cups of raw sugar to get the iron in a cup of cooked spinach, 7 cups to get the potassium in a banana and 13 cups to get the calcium in ¾ cup yogurt. 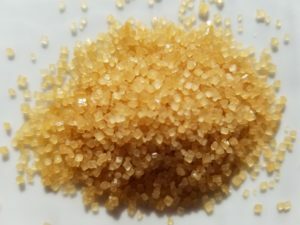 How about Organic Raw Sugar? Even if its “organic”, it is still sugar. Strength training and aerobic exercise both help to lower insulin resistance in sedentary older adults at risk for diabetes. Combining the two is better than either one alone. People with diabetes who walk at least two hours a week are less likely to die of heart disease than their sedentary counterparts, and those who exercise three to four hours a week cut their risk even more. Women with diabetes who spend at least four hours a week doing moderate or vigorous exercise have a 40% lower risk of developing heart disease than those who do not exercise.